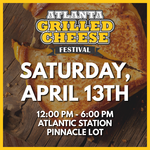 In addition to craft cocktails, we'll have food from some of Atlanta's favorite vendors available for purchase and a local Atlanta DJ. Where: Cocktail Wars will take place at Park Tavern in Piedmont Park. Take in incredible skyline views while sampling some of the best cocktails Atlanta has to offer!